A super simple design that goes a long way! Newly expanded to include a crib size (37x43), Lap (61x73) and Full (73x89) sizes. 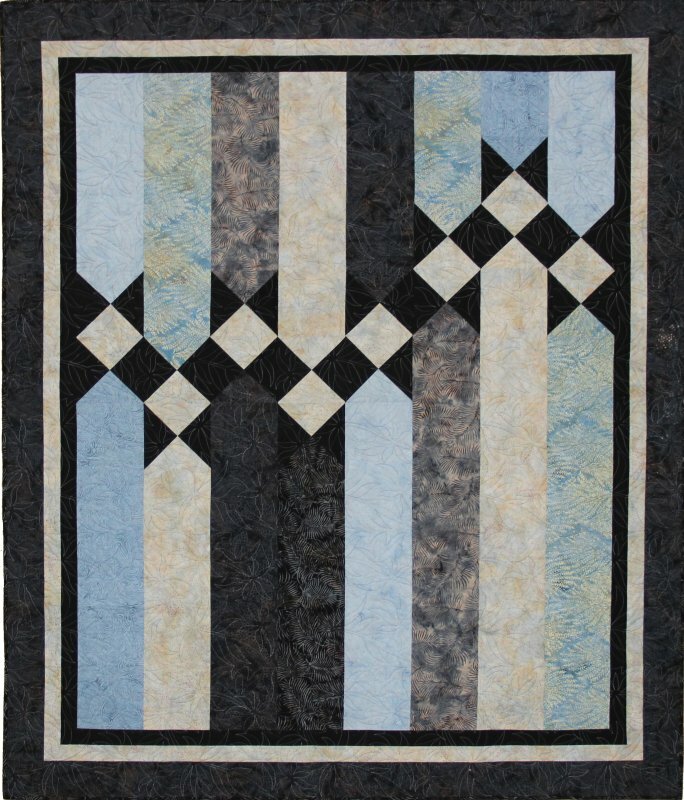 This quilt is the perfect project for any cool-weather season or just plain cool-recipient. It’s all in the color/fabric choices. We even know of this quilt made for someone in the military! Easy weekend project. Cover quilt is made with a selection of Island Batik fabrics.